The definition of robotics may not be very clear till today, but they are indeed our future. Not everyone is so interested in the prospect of a radical change that robots are about to bring, but we are embracing the technology and working out how to best collaborate with it. Robots are not new – in fact, we’ve been seeing them since the ever popular Terminator movies as evil assassin robots. The Terminator franchise is significant to begin this narrative, as it is one of the first few movies to feature super-advanced intelligent machines, but as killer robots. But there are other friendly kinds too, unlike the ones in the Terminator movies. Artificial Intelligence (AI), on the other hand, is the next generation of robotics that involves intelligent machines that work and react like humans. It is often called as machine intelligence and has been around for quite some time now. But what exactly is Artificial Intelligence or AI? It’s the field of computer science that studies the synthesis and analysis of computational agents that act intelligently. With AI, processes become more dynamic and adaptable. Technically speaking, AI is more like a computer program that thinks and reasons much like a human mind. One of the significant contributions to AI came from John McCarthy when he wrote one of the dominant AI programming languages called “LISP”. This begs the question, is robotics same as Artificial Intelligence? Robots are programmable machines specifically programmed to carry out a complex series of tasks without any human intervention. People mostly see robots in movies so they have a little sense of what real robots do or look like. But everyone knows the Terminator, Star Wars, Matrix, etc. Nonclassified YouTube videos featuring various versions of robots like a robotic humanoid or a robotic cheetah for that matter, are presenting a different prospective on robotic science. However, on the contrary, robots are becoming more capable and more diverse than ever. 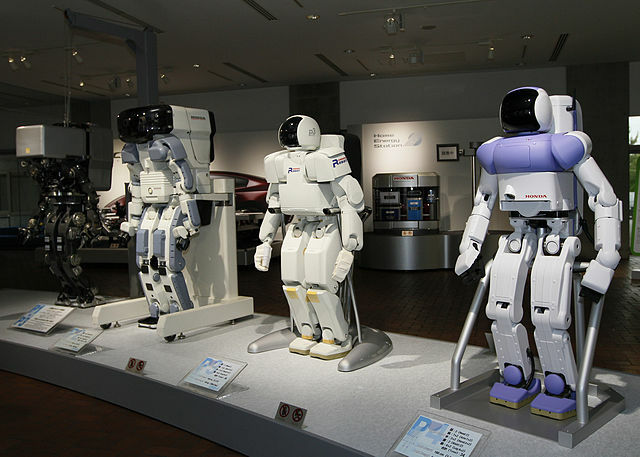 Robots are often characterized by their capabilities in performing dull to dangerous tasks, easily and without needing humans to perform them. The term “Artificial Intelligence” was first coined by John McCarthy after he wrote a programming language for AI called the “LISP” which is still one of the dominant high-level AI programming languages in widespread use today. He then developed a program called “Advice Taker” which was designed to use knowledge to search for solutions to problems. Early AI programs embodied a little or no domain knowledge but over time, AI became a potential game-changer on all domains. AI has been frequently misunderstood because humans couldn’t get past the idea that machines would make humans obsolete. AI has now become part of our lives, starting to impact everything; how we live, how we interact, how we do what we do, and the evidence is everywhere. – Most people would think robots and artificial intelligence (AI) are one and the same, but they are very different terms associated with different fields. Robots are hardware and AI is software. 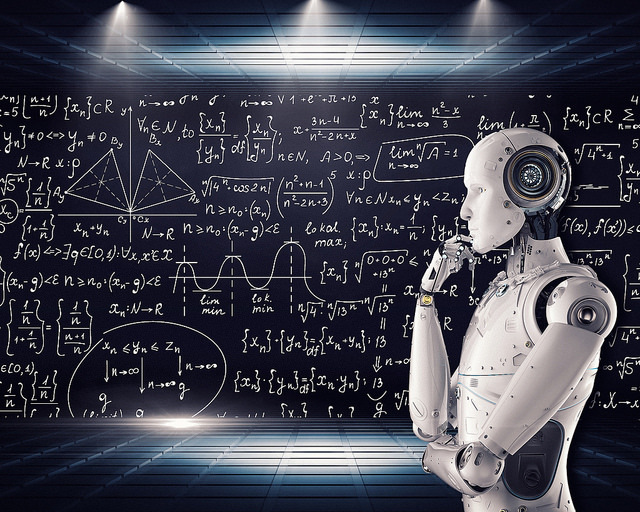 In technical terms, robots are machines designed to execute one or more simple to complex tasks automatically with utmost speed and precision, whereas AI is like a computer program that typically demonstrates some of the behaviors associated with human intelligence like learning, planning, reasoning, knowledge sharing, problem solving, and more. AI is a field of computer science that studies intelligent machines that work and react like humans. – AI is the next generation robotics technology that enables people and machines to work collaboratively in novel ways. In fact, AI systems are so designed to surpass the abilities of machines in dramatically different ways in order to just show up just everywhere we look. In many ways, AI is human intelligence that complements human mind to enhance its ability to perform tasks. Robots are autonomous or semi-autonomous machines that make use of artificial intelligence to enhance their autonomous functions by self-learning. They simply use computer systems for their control and information processing, thereby replicating human actions without the need for human intervention. – Robots are used in a wide range of domains, especially industrial applications and automotive manufacturing. New generation of robots are more efficient with no custom software required. In addition, robots are widely used in assembly and packing, space and earth exploration, medical surgical applications, laboratory research, weaponry, and so on. The basic application of AI is the popular Tic-Tac-Toe game. AI is also used in speech recognition along with robotics, which is a field of artificial intelligence. There are also other applications of AI in the consumer space from Google’s DeepMind to Apple’s Siri and so on. Although the terms robots and artificial intelligence are often used interchangeably, they serve very different purposes. The vocabulary of robotics is so deeply a legacy of science fiction, both in literature and science fiction movies. Artificial Intelligence is a much broad field which endured fierce criticism over years, but is now a potential game-changer, driving the research and study of some of the most advanced corporations in the world. AI has taken a big leap of faith to make significant strides in consumer space and in areas such as medical industry, military technology, household appliances, automotive control, and so on. Sagar Khillar. 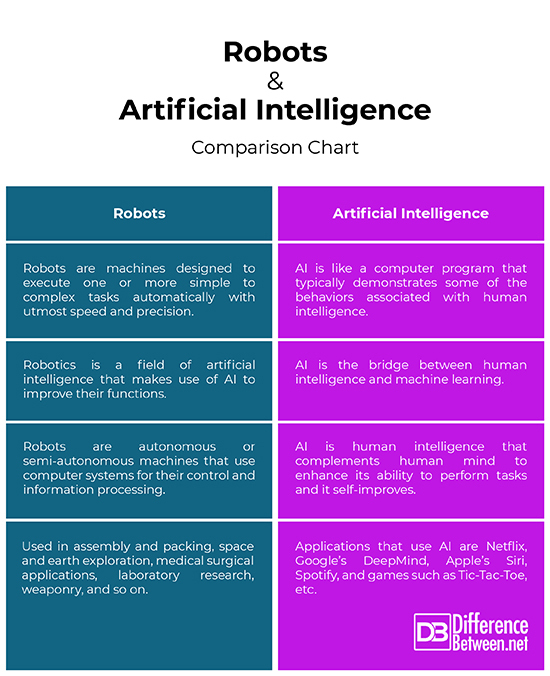 "Difference Between Robots and Artificial Intelligence." DifferenceBetween.net. November 19, 2018 < http://www.differencebetween.net/technology/difference-between-robots-and-artificial-intelligence/ >.